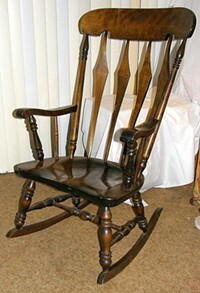 My Mom’s favorite chair is a rocking chair something like this. When I think of my Mom, I think of her rocking in that chair. The chair is as old as me and the wood on the arms is worn down. The carpet underneath wore a bit thin from where she rocked so much. She can sit for hours and just rock. She rocks while watching t.v. She rocks while catching up with a friend. I think it soothes her. Recently, my Pastor was teaching us about prayer. He played a video titled Coffee with God to introduce us to his lesson as well as to inspire us to set aside time to pray. At first, I felt convicted after watching. I don’t always necessarily carve out time in my day to have quiet time with God. It seems like I work Him into my day – like getting ready in the morning or driving into work. So, I chose my favorite spot on the couch as my chair. Every morning while having breakfast I meet with God and read Love Out Loud by Joyce Meyer. This book has been right under my nose for a year now and I never read it. It seems right on time as my word for the year is love. 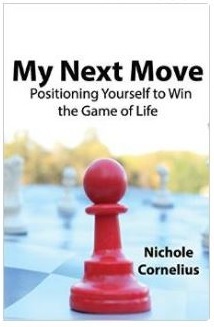 I read, then sometimes I pray using my prayer journal, or I just share what’s on my heart. My time usually ends with me having to touch up my makeup as the more I share, the more tears fall. I cannot accurately express what my time in the chair has done for me. Something internally is changing. It’s like a new personality is emerging – one I’ve been craving and one I’ve been praying for. I feel like the load has been lifted and joy takes over.